This packet is designed to be used as a pen pal packet for students to send to each other. The front page has a spot where students can cut out and color a paper version of themselves. This paper cut out could be placed in a plastic bag and stapled to the front cover. In addition there is an opening letter for students to fill out for their pen pal,(friendly letter format) a pen pal profile page, math day questions to be done with the paper cut out, 5 journal opportunities for the pen pal to fill out, and a final letter page for the pen pal to fill out! 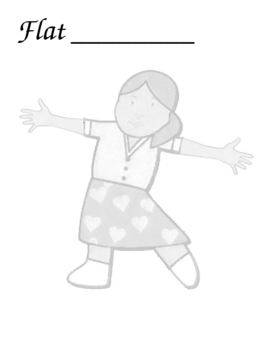 You can use the templates on the Flat Stanley website, or have students create their own!